United's new home kit for the 2009/10 campaign will be officially unveiled next week, but it is now available to pre-order online. The red kit celebrates 100 years of Old Trafford and part of the design will reflect that what was worn by the Reds a century ago. The players will don the kit for the first time during their pre-season tour of Asia next month. The squad fly out to the Far East on 16 July - the day the kit goes on sale and on which pre-orders will be delivered. Rio Ferdinand says the players are always excited to see the new kit and insists the historical aspect acts as an inspiration to everyone. 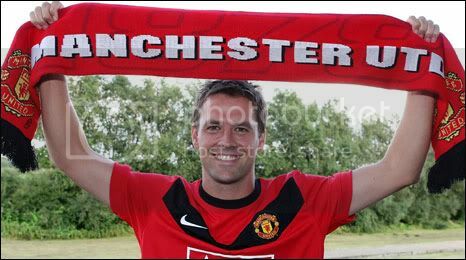 "Maintaining the traditions of the club is very important," he told ManUtd.com. "Last season we had the blue kit to remember the European Cup winners of 1968 and this one dates back to the 1900s to celebrate 100 years of Old Trafford. "This club has always taken pride in its history - it acts as an inspiration to all of us and it’s great to see it represented in the new kit." 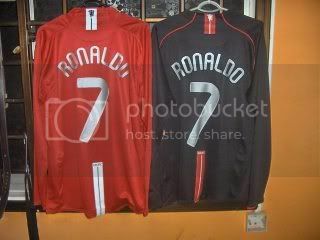 Pre order your new home kit at manutd.com now !!! can we get it in QW or Singpapore Nike? yes but not in singapore nike boutique.. they are quite slow in terms of getting the jerseys in for sale.. Go to penisular on 16th or 17th july, you will be able to get urself that piece of treasure.